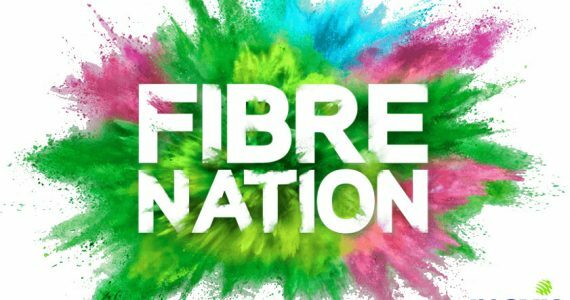 There are still more than one week to go before the consumer launch of ASUS ZenFone 2 in Malaysia takes place but it turns out that we don’t have to wait till 9 May to know the price of the smartphone. 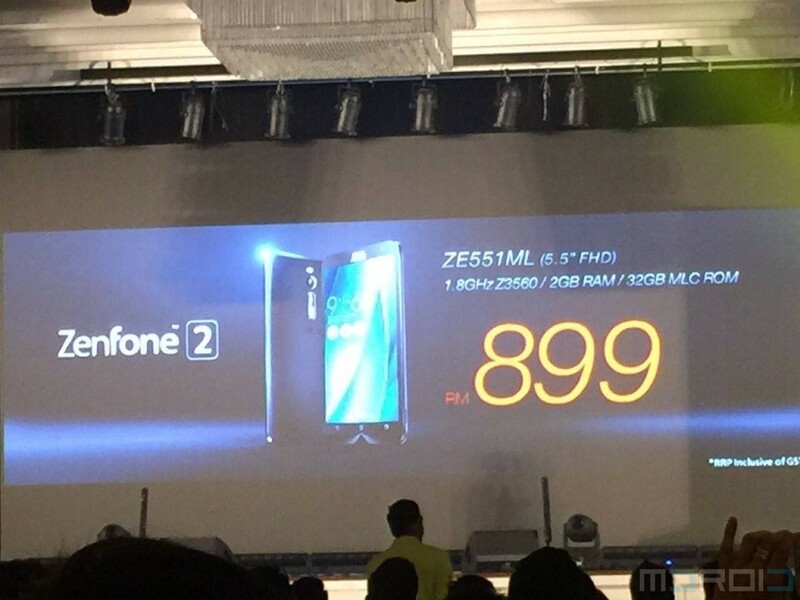 According to a series of images that seems to be snapped during a closed door event for local dealers, the ZenFone 2 is apparently priced at as low as RM 599 and that is already inclusive of GST. 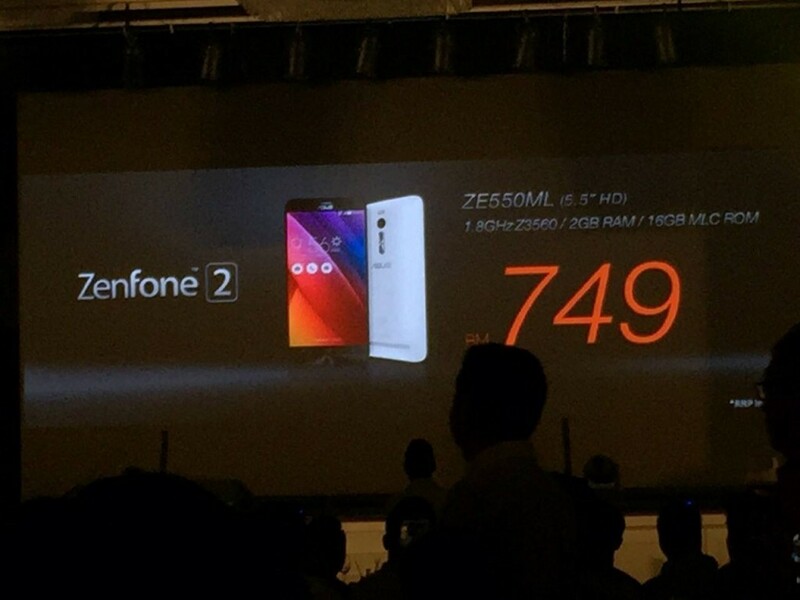 Even though the early information that we received stated only three variants will be released in Malaysia, these images pretty much showed that we are going to see four ZenFone 2 models in Malaysia after all. 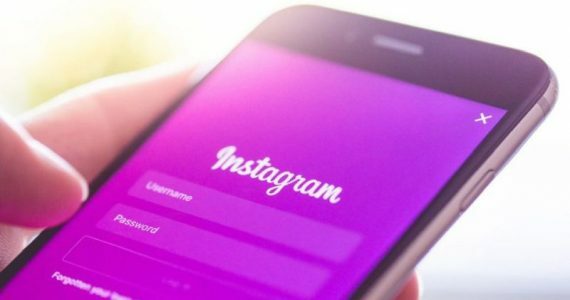 The most affordable of them is the 5-inch ZE500CL which carries a 1.6GHz Intel Atom Z2560 processor, 2GB of RAM, and 8GB internal storage for RM 599. 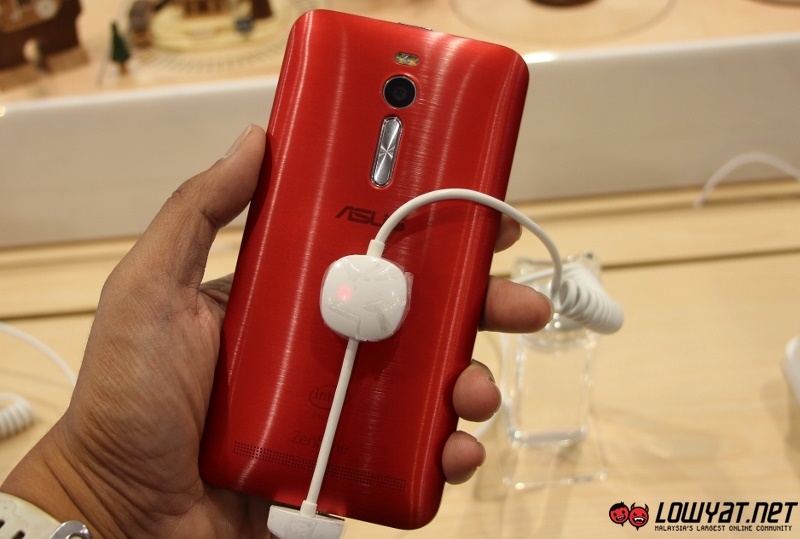 ASUS then skipped the mid-range ZE550ML and jumped straight to the [UPDATE: ZE550ML is coming to Malaysia as well] ZE551ML full HD models starting with the variant that is powered by 1.8GHz Intel Atom Z3560 alongside 2GB of RAM, and 32GB internal storage for RM 899. 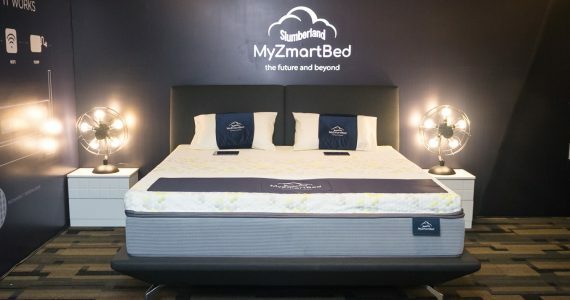 The second ZE551ML model that users will able to get their hands on soon is equipped with 2.3GHz Intel Atom Z3580, 4GB of RAM and 32GB internal storage for RM 1,099. 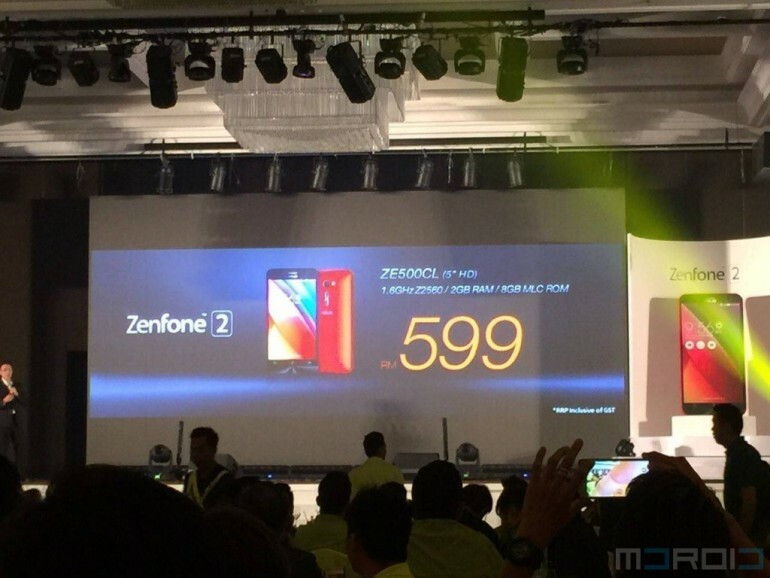 Last but not least, the top of the line ZE511ML variant shares the same processor and amount of RAM as per previous variant but carries bigger internal storage and is priced at RM 1,299. 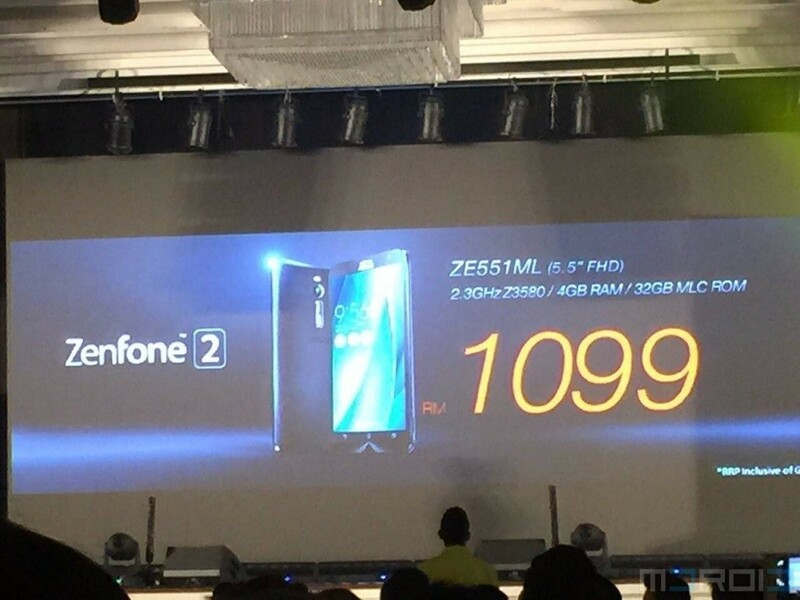 In general, the ZenFone 2 prices for Malaysian market are certainly lower than Singapore but are still outmatched by those in Taiwan. 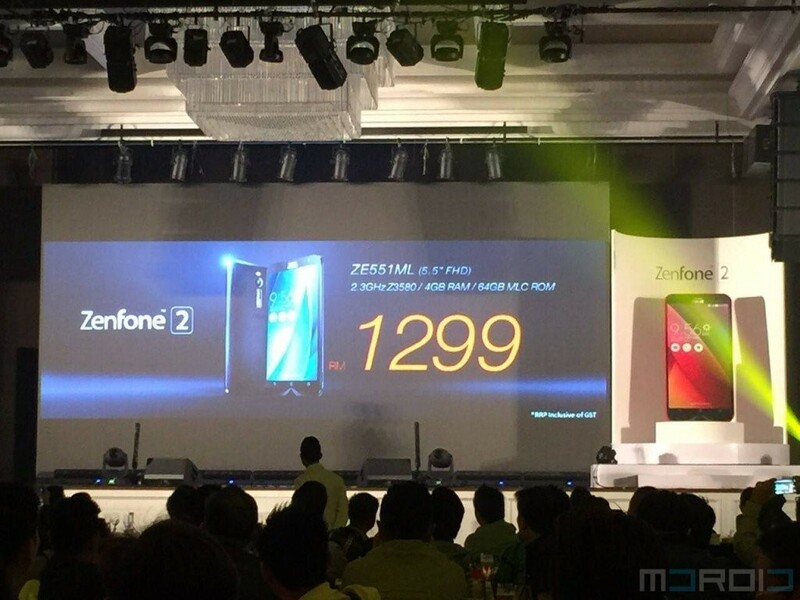 Top of the line ASUS ZenFone 2 model in Malaysia. 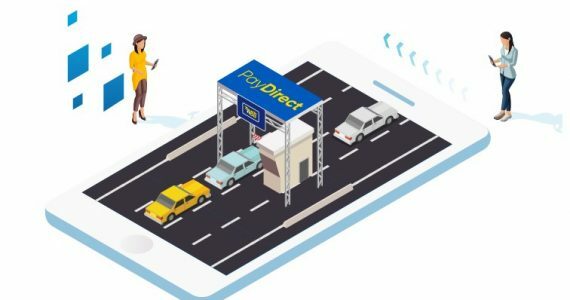 Yes, that RM 1299 price tag is inclusive of GST. In addition to that, the ZE500CL variant for Malaysia is equipped with only 8GB worth of internal storage as opposed to 16GB as per Singapore and Taiwan which is rather unfortunate. Meanwhile, do check out our initial hands-on experience with ASUS ZenFone 2 right here if you want to know more about the new smartphone which will be launched in our market on 9 May.